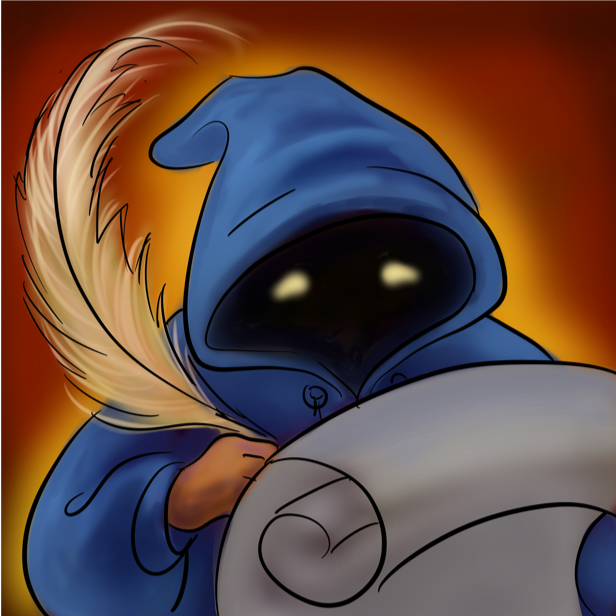 The LIGHT project is a large-scale fantasy text adventure game research platform for training agents that can both talk and act, interacting either with other models or with humans. We introduce a large-scale crowdsourced text adventure game as a research platform for studying grounded dialogue. In it, agents can both perceive, emote and act whilst conducting dialogue with other agents; models and humans can both act as characters within the game. We describe the results of training state-of-the-art generative and retrieval models in this setting. We show that in addition to using past dialogue, these models are able to effectively use the state given by the underlying world. In particular, we show that ground-ing on the details of the local environment, including location descriptions and the objects (and affordances of those objects) and characters (and their previous actions) present within it allows better predictions of agent behavior and dialogue. We analyze the ingredients necessary for successful grounding in this setting, and how each of these factors relate to agents that can talk and act successfully. A detailed description may be found in Urbanek et al., 2019. LIGHT currently features 663 locations, 3462 objects and 1755 character types, described entirely in natural language. Within that game world, we collect 11,000 episodes of character interactions (talking and acting). 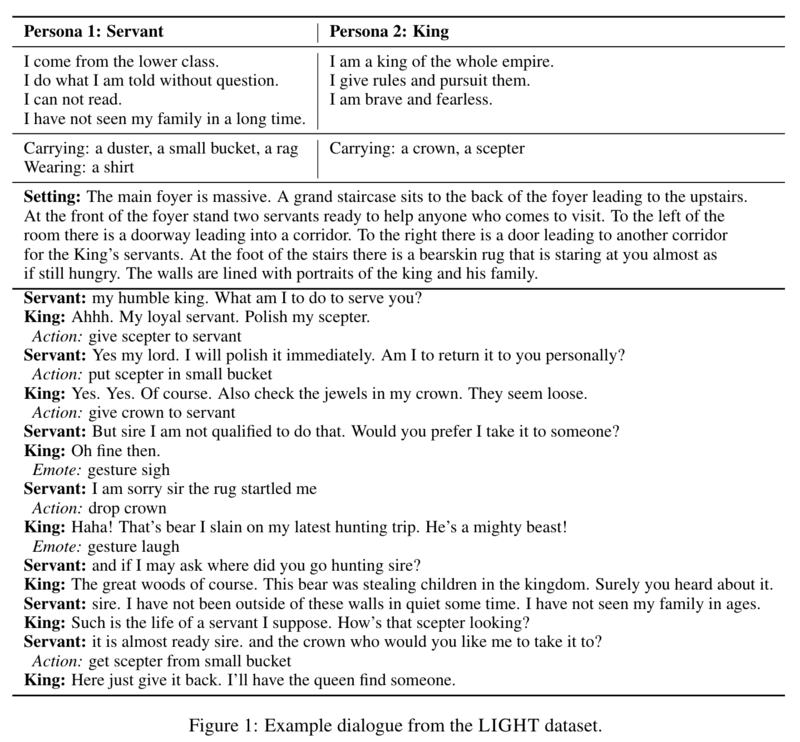 You can view the data or train your own ParlAI agent on the LIGHT tasks with -t light_dialog. See the ParlAI quickstart for help.